Have you ever wondered about the value of recreational fishing? By this I don’t just mean the people who are employed in the sport or the money that is spent by anglers. I mean the social benefits. Most anglers – including me – began fishing with friends or family as youngsters. Some of us were lucky enough to know accomplished anglers to show us the ropes (and usually a few knots!). In an increasingly hectic world where pressures on all of us are so great, fishing can play a big part in helping people to cope with these demands. Recreational fishing can help people by providing time away from daily stresses, promoting emotional wellbeing and providing an active pastime spent in the great outdoors. And it’s not just me saying this – studies have shown this to be the case. In some places healthcare professionals advocate fishing for the rehabilitation of people who have suffered mental illness or substance dependency. Angling also provides an opportunity for people to become advocates for the environment while being out there and enjoying themselves. We work in partnership with organisations such as the Angling Trust to introduce people to fishing and help them to understand the social and environmental benefits. This also provides the link to those accomplished anglers, or coaches who can show people the ropes. One of the ways the Environment Agency helps to support this is by stocking fish to rivers and stillwaters. We supply fish from our own coarse fish farm at Calverton, Nottinghamshire. 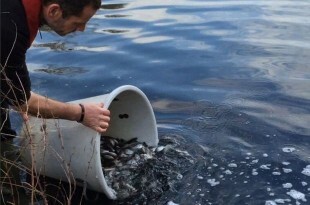 Each year staff at Calverton provide hundreds of thousands of fish. In 2015, it had a record-breaking year providing more than 452,220 fish and 1.3 million larvae for stocking across the country. Some of these fish are stocked to rivers to mitigate for issues that restrict coarse fish populations such as barriers to migration, poor spawning and production of fish due to environmental factors. 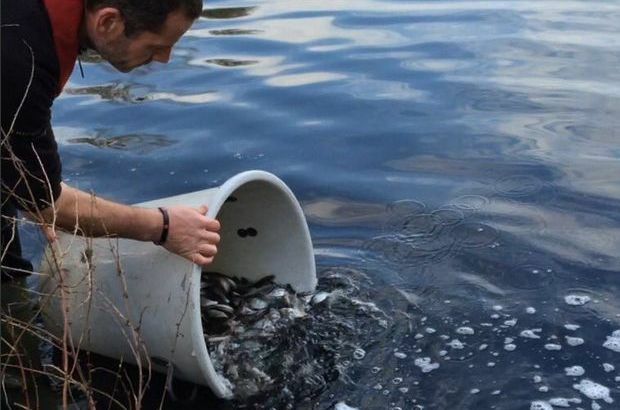 There are also cases where fish are introduced to re-establish a population for example following pollution, after the issue has been resolved. 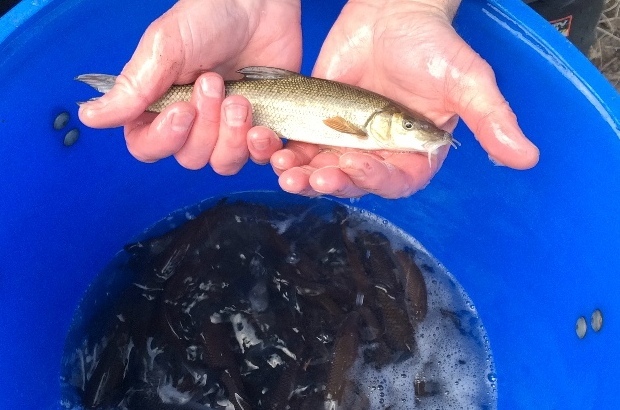 On stillwaters, we provide fish to support angling clubs - helping develop fisheries for the benefit of angling. Sadly, we can’t help every fishery, and we must decide where there will be the most benefit from stocking. Certainly in the North East of England we do as much as we can for club fisheries. If a club has an active, open membership that promotes angling, particularly among juniors, disabled or disadvantaged people, we will look for opportunities to help them develop. Fisheries within easy reach of urban areas always provide a great resource to achieving the benefits I described right at the beginning of this story. And to come full circle, the small price of a rod licence goes directly back into our efforts to breed and stock fish. So this means we’re all supporting each other in achieving great quality waters, fishing and continued improvements. So do you fancy getting involved? Contact your local fisheries team, they can provide information on how the Environment Agency can help you develop your fishery, they will also give you advice on who else can help. Contact the Angling Trust or the fishinginfo website to find out about where you can try fishing, or find out about angler coaching. Find out more about buying a rod licence and how much they cost – from just £27 for a full year. You can get them from the Post Office. Your video have lots of fish. Your video have lots of fish. I love your video.